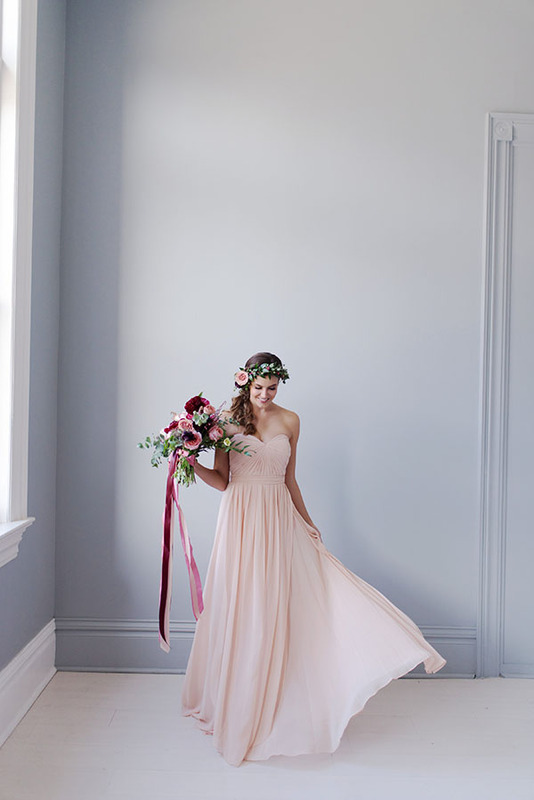 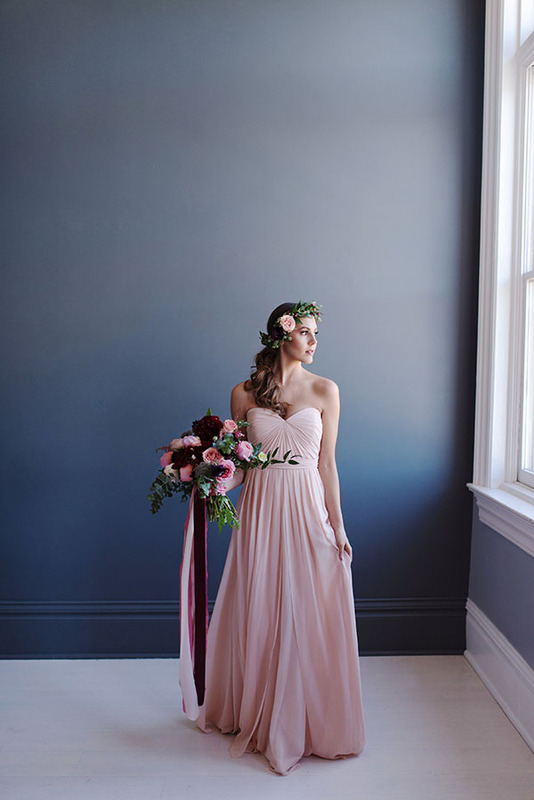 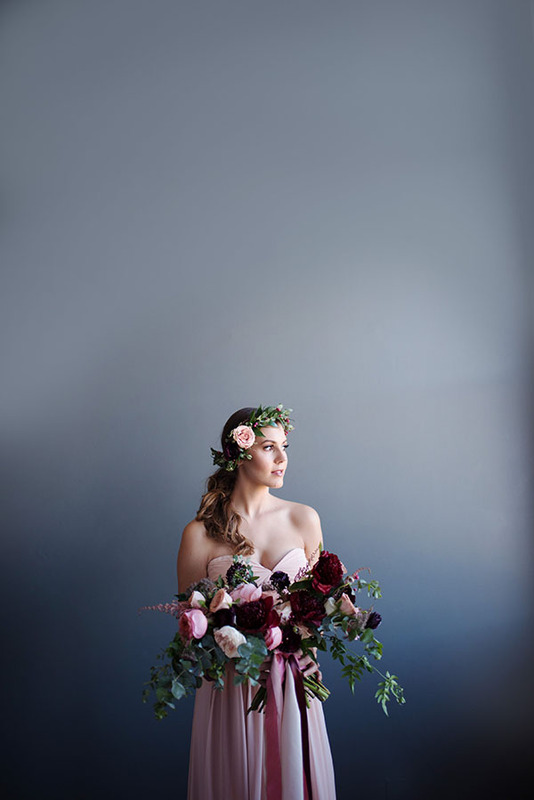 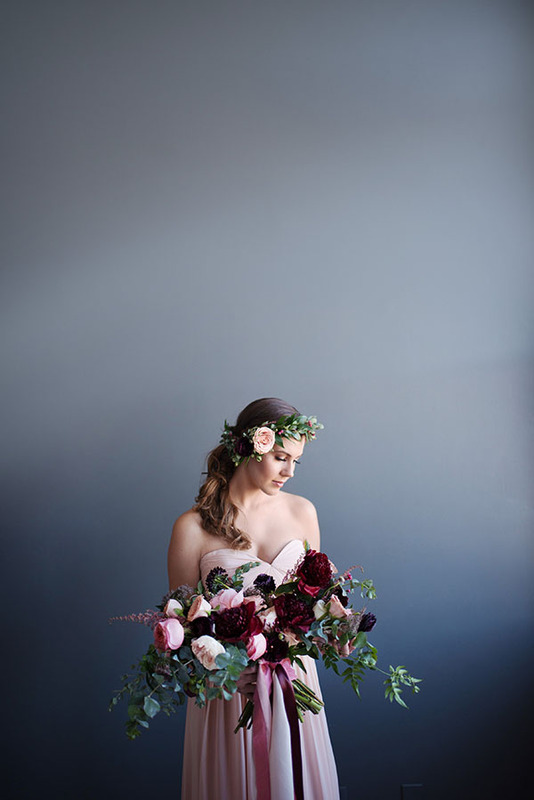 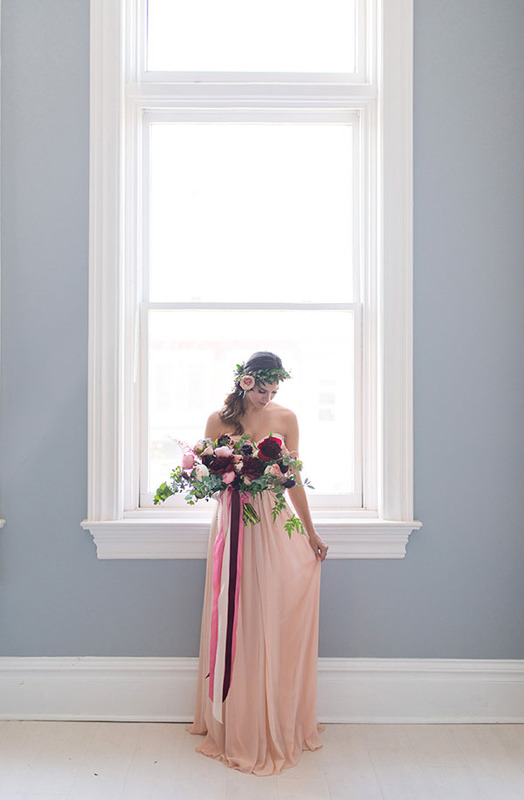 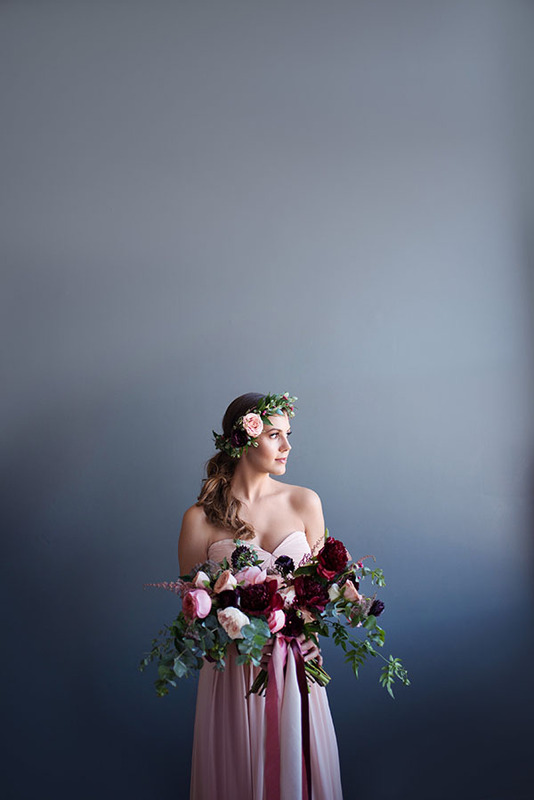 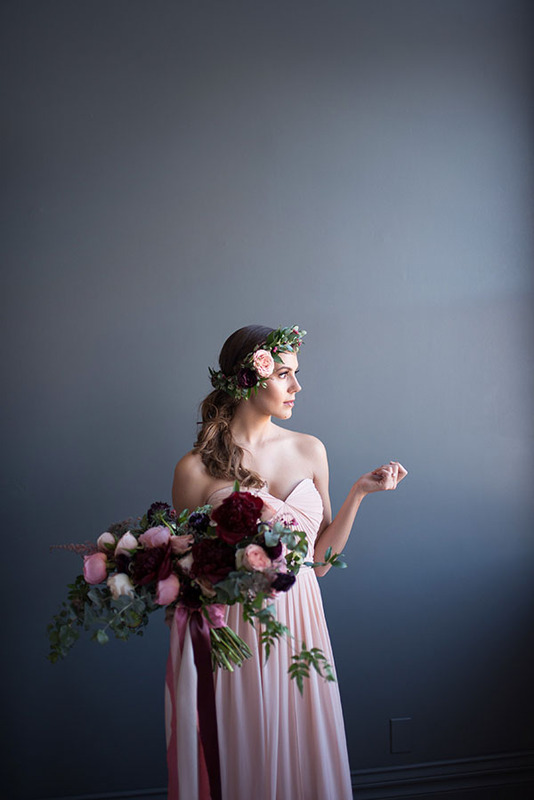 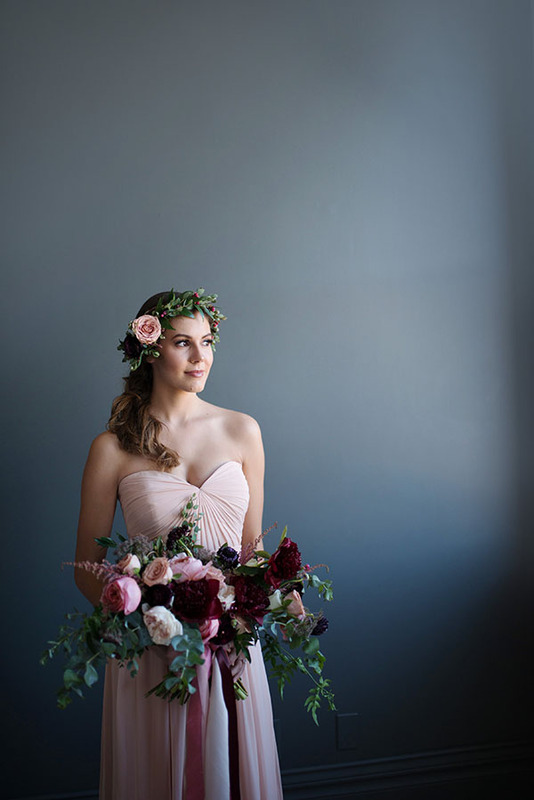 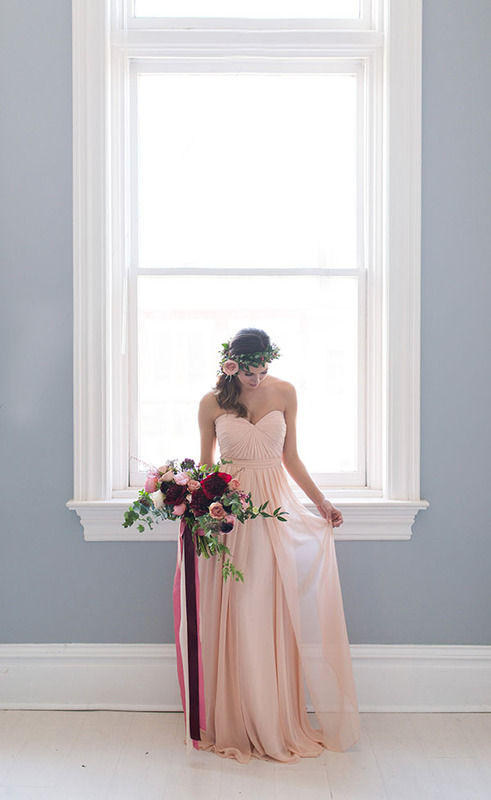 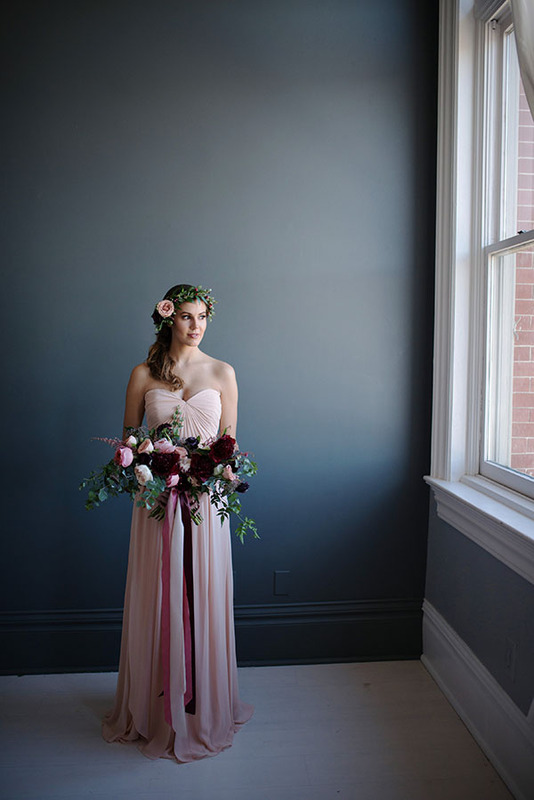 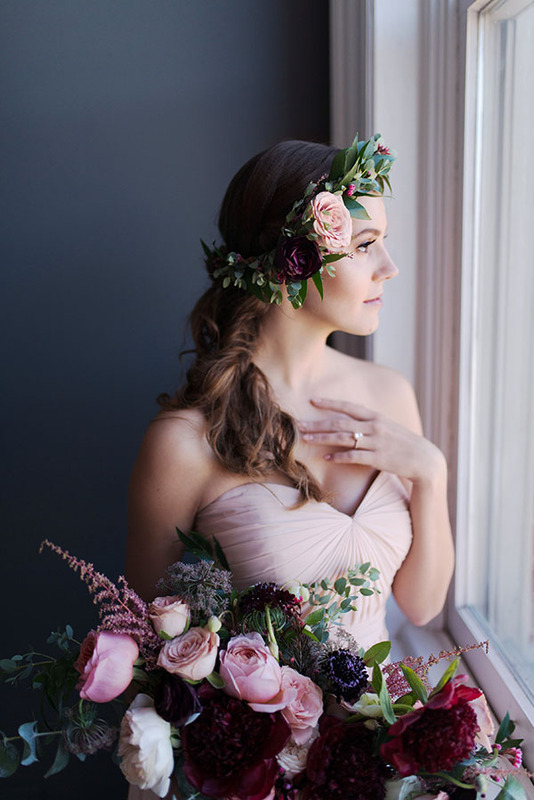 Cascading bouquets photograph beautifully because they look gorgeous from all angles. 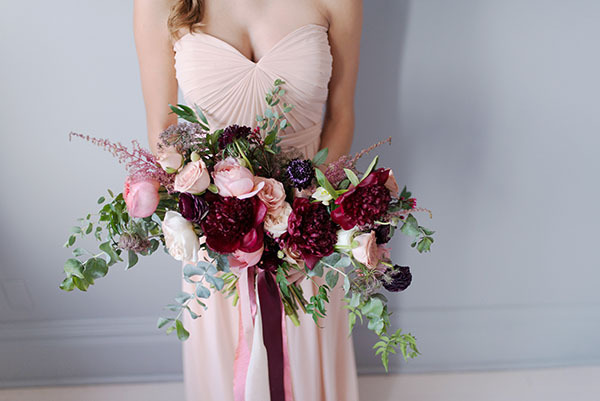 What’s more, they can have several different aesthetics depending on how they’re held. 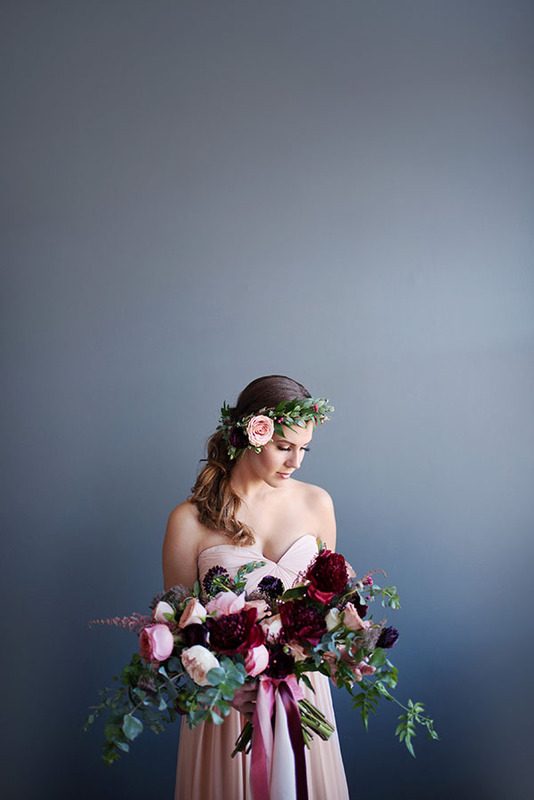 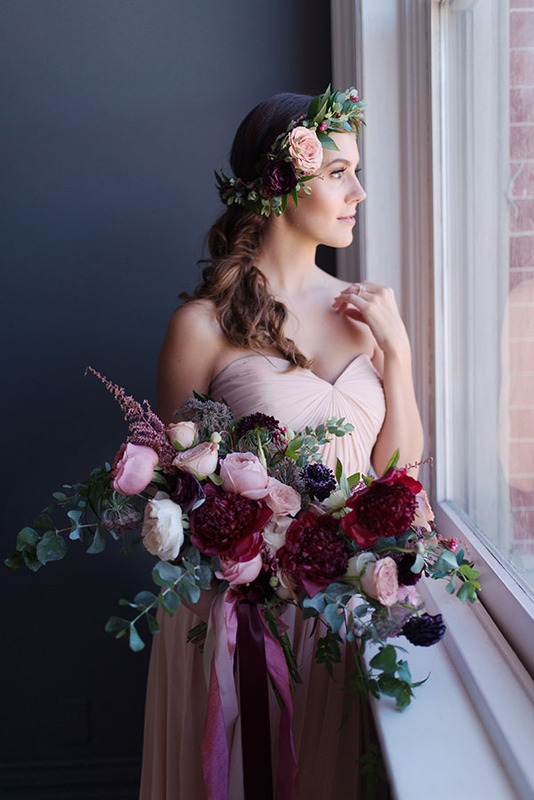 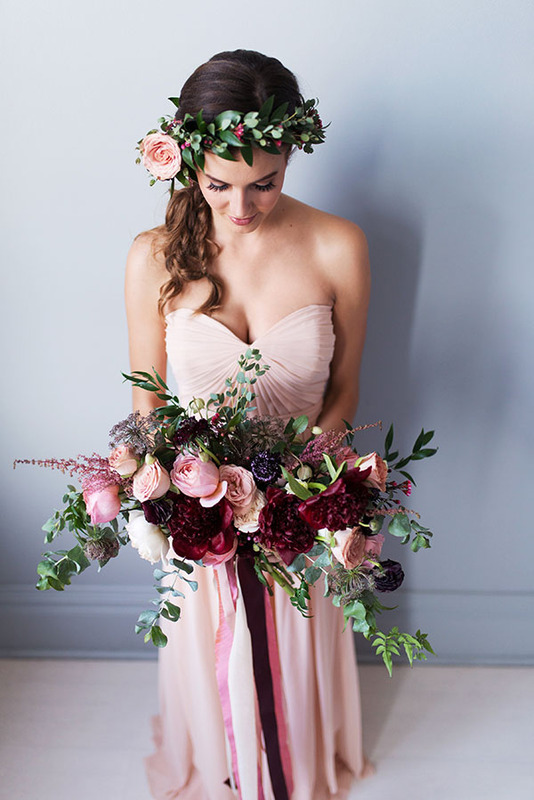 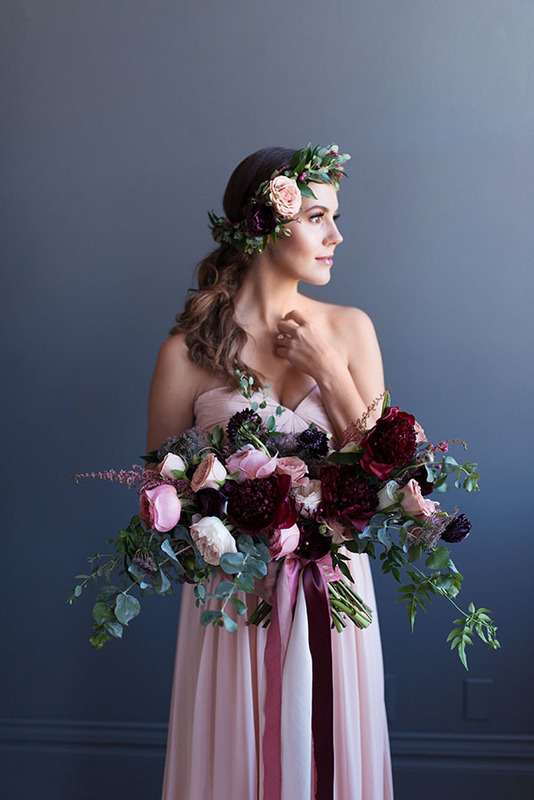 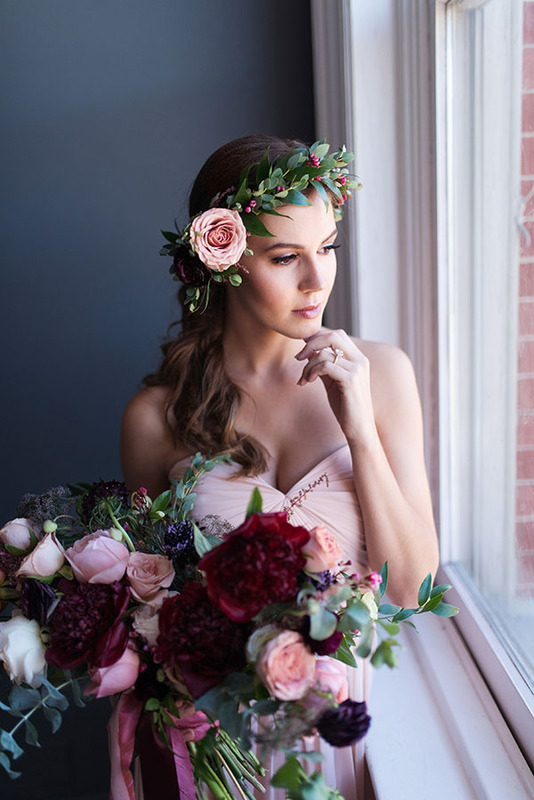 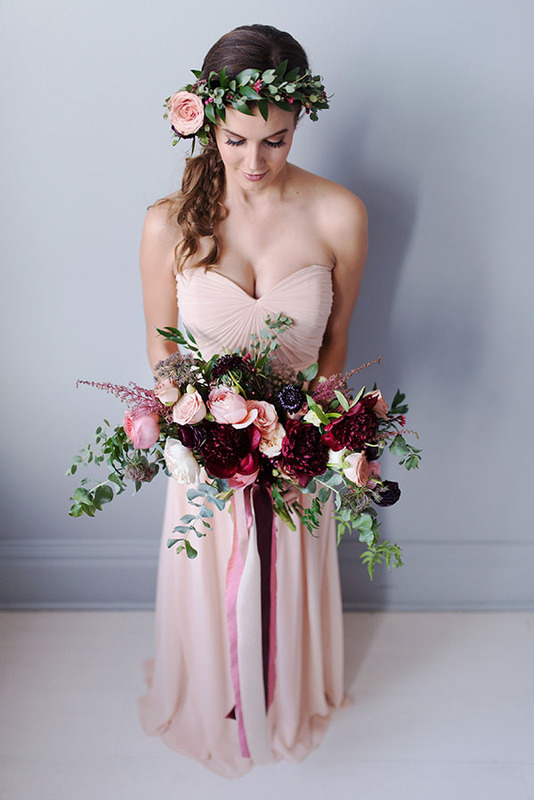 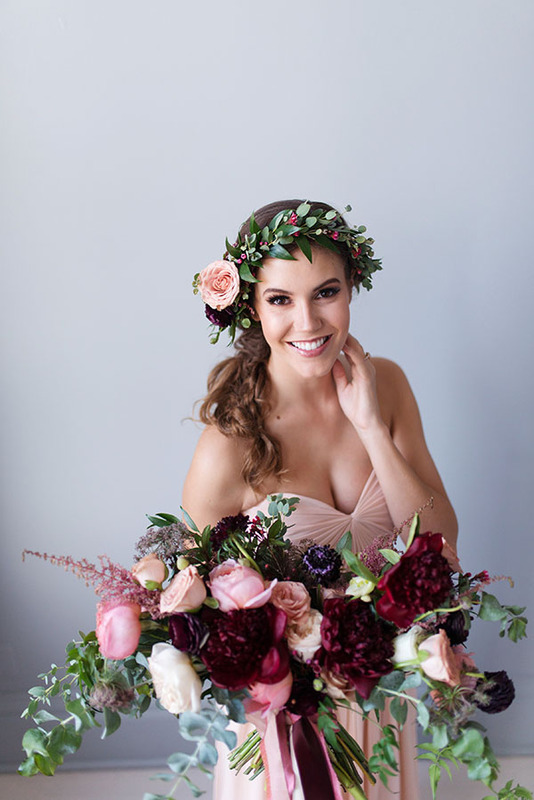 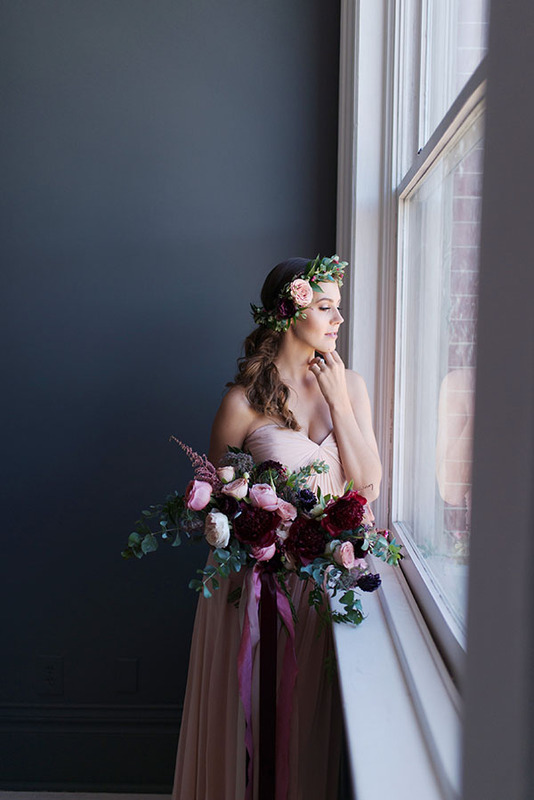 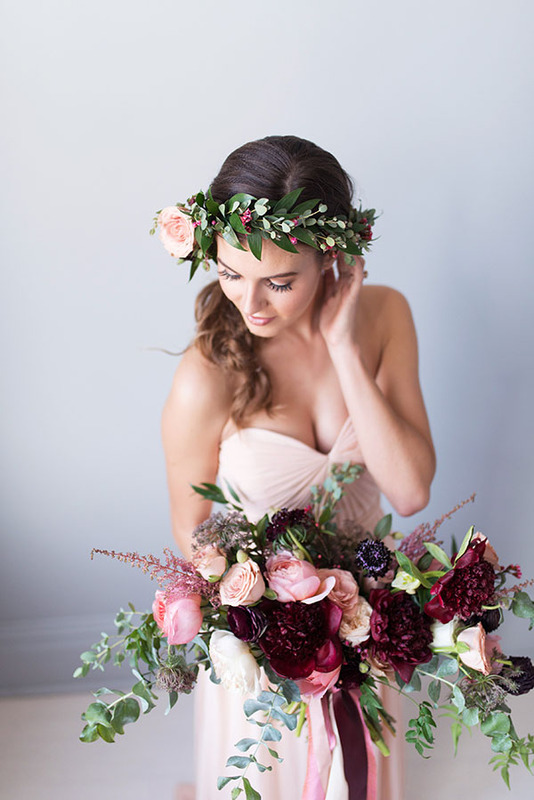 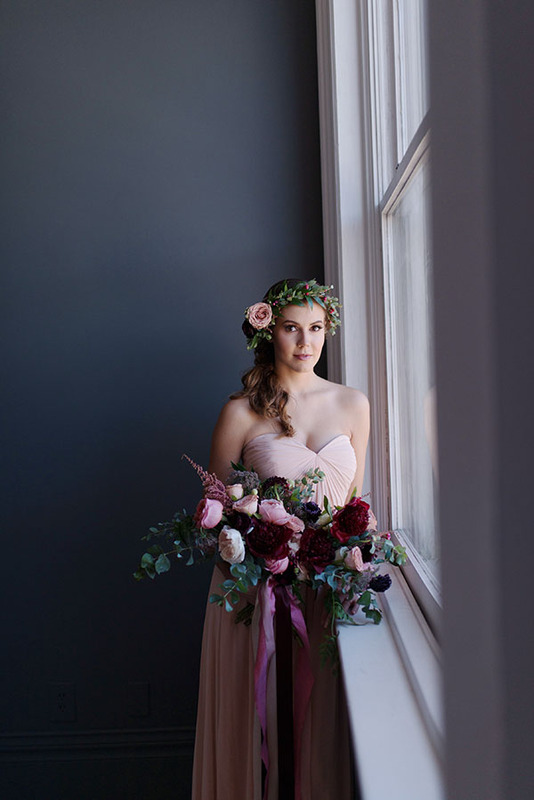 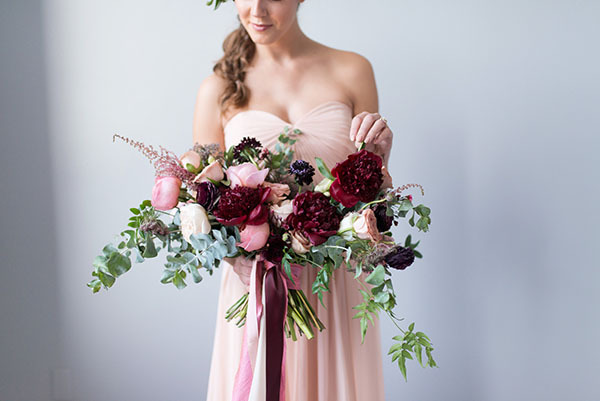 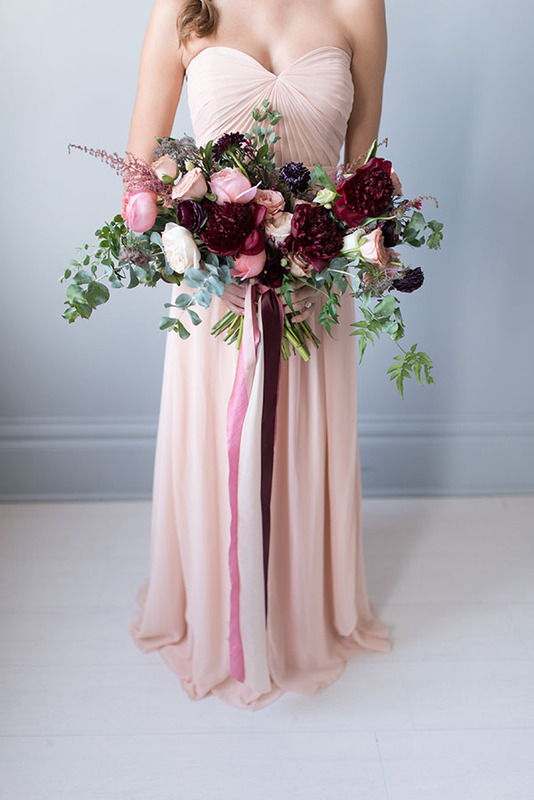 Heidi Vassel, co-founder of Over the Top Events, created this cascading bouquet with peonies, ranunculus, garden roses, astilbe, eucalyptus and jasmine vine. 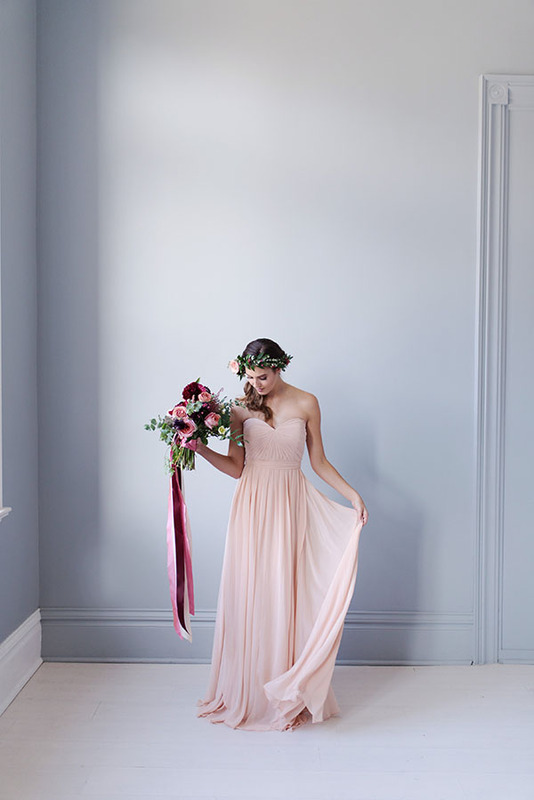 He loves you. 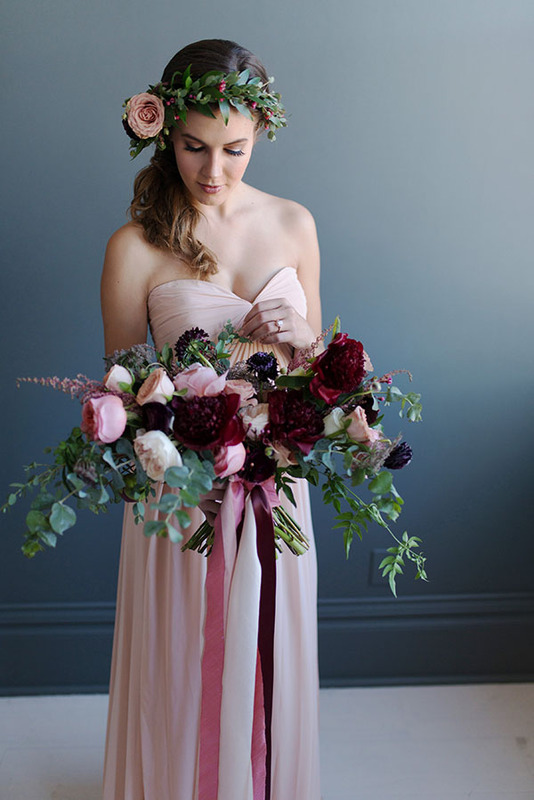 He loves you knot.